Film Plot: A newcomer to a fancy ballet academy gradually comes to realize that the school is a front for something far more sinister and supernatural amidst a series of grisly murders. Grade: C7-C8	Fine to Very Fine. Rolled, single-sided. 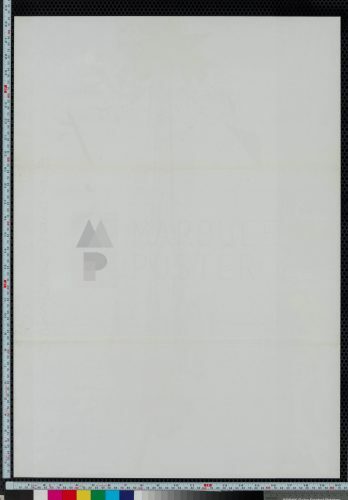 Theater used poster with only minimal handling/use/edge wear. 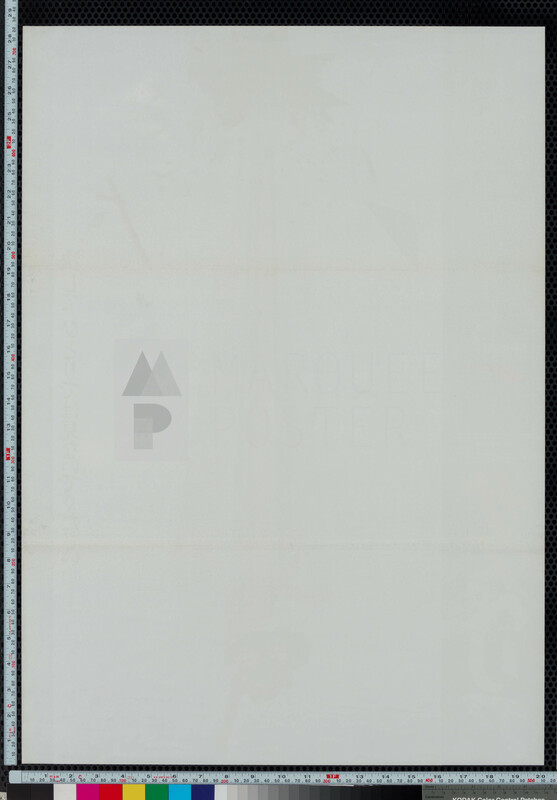 Some compression marks with minor wear (from being stored in a loose tri-fold) and some very minor soiling are all that stop this poster from being graded even higher. 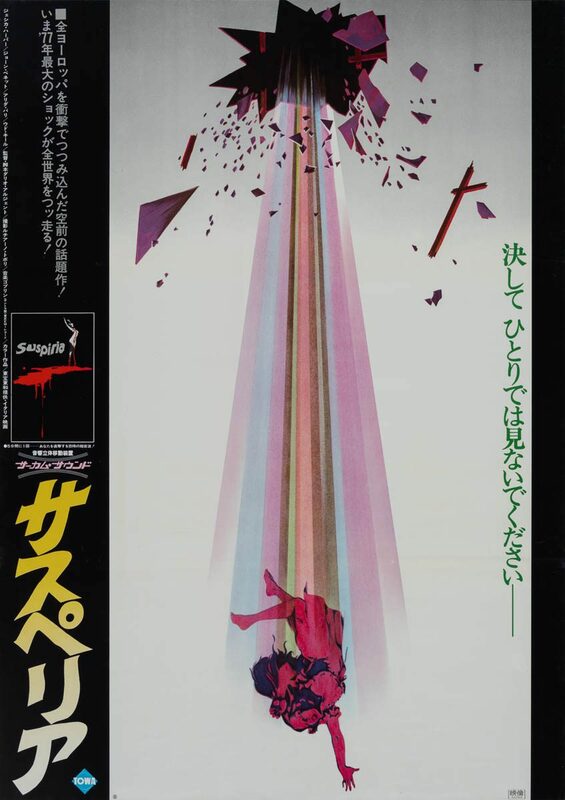 Dario Argento’s Suspiria has come to define “giallo”, the typically graphic and ultra-violent sub-genre of horror unique to Italy. The term “giallo” actually comes from a series of trashy Italian mystery novels from the 1920s and 1930s, which supernatural horror, crime fiction, and slasher elements. The name also refers to the pulp novels themselves, as they were often issued with yellow covers — giallo is Italian for “yellow”. This style B Japanese B2 features unique artwork from a pivotal scene that is not found in any other country. The artist is unknown, but it could very well be from Mario De Berardinis, who also did the inset ballerina art. 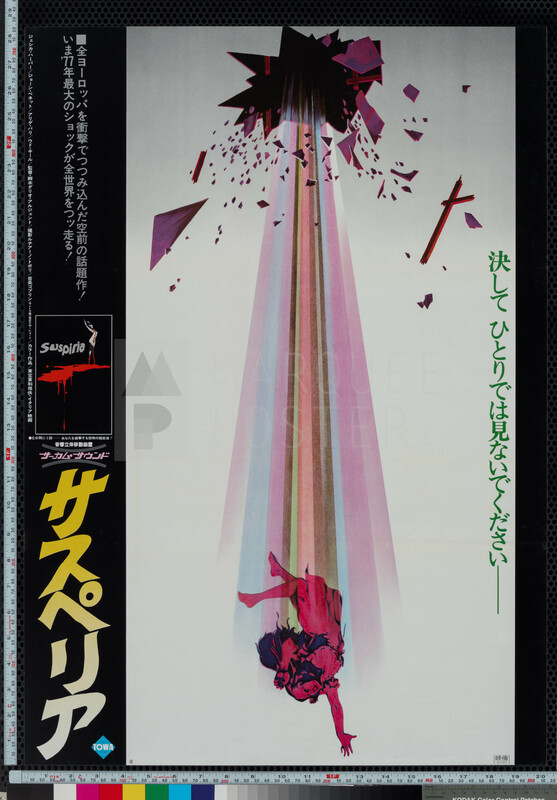 Sadly, Suspiria was De Berardinis’ final cinema poster before having a heart attack at only 47 years of age.